Home /News/When Should You Use Embossed Business Cards? When Should You Use Embossed Business Cards? There’s never been a better time to print your own custom business cards. With so many specialized printing services out there, you can order virtually any type of card you feel suits your business with just a few clicks. However, few online printers offer embossed business card printing, reasoning that customers might not want them because they cost slightly more or because they might be a bit too fiddly for them to make. When you do see embossed card printing being offered, you might even wonder if it’s actually worth it. Even though they’re fairly common on graphic design rundowns and showcases, out in the wild, embossed business cards are pretty rare – you simply don’t see them every day. You’ll be lucky if more than one out of a hundred cards you receive have an embossed design. In fact, you’re bound to run into a good number of people who have never received an embossed card from anyone. Whenever you give someone your card, it’s almost guaranteed that they’ll notice it. This means there’s a good chance you’ll be remembered, which is exactly what you want when you give out your business cards. 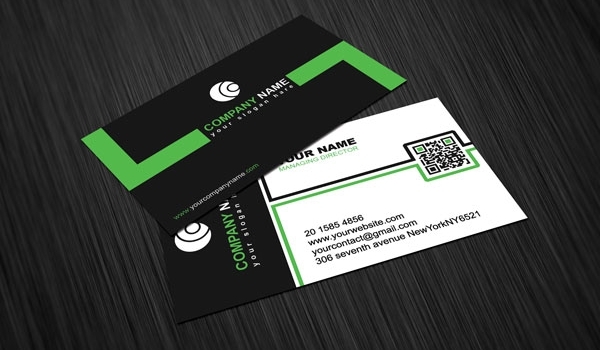 Minimalist business card designs are starting to become more popular again. For those who’re really into using as few design elements as possible, embossing literally opens up a third dimension to the design, allowing you to use raised or lowered imprints to supplement or even replace colors altogether. Technically speaking, you don’t even need to use any ink whatsoever for an embossed card. This leaves the creative business card designer with an almost unlimited range of possibilities where the embossing can serve as the main point of the design, or be a subtle touch that highlights everything else on the card. After a business gains footing in its market, repeat sales will typically start to account for a larger portion of its income. In many cases, a business will simply be unable to survive without repeat customers. Time and again, business cards have proven themselves to be an invaluable tool for making it easy for customers to immediately contact businesses they’ve had positive encounters in the past. Unfortunately, not all business cards are made the same way. For one reason or another, some simply aren’t as memorable as others. For this reason, designing a card can be a tricky thing, as you’ll have to lay out the information in a logical way while making them instantly recognizable. This often results in cards that are either too “dry” or too cluttered. Embossed business card printing, however, can significantly improve customer recall without requiring you to resort to loud colors or cluttered designs. There is strong evidence that points to haptic memory, the type of memory formed by tactile stimuli, as being an especially powerful way to reinforce memories created through sight. Other studies point to the superior information retention of printed books over e-readers as being driven chiefly by the superior tactile experience offered by printed media. It’s not such a such a stretch to think that business cards with a better tactile aspect have the upper hand when it comes to being more memorable. While you might not want to use an embossed business card for an electrician or plumbing business (though others might certainly pull it off! ), they’re just the thing for any professional that wants to project a more upscale feel without seeming tacky. Just as dressing the right way can make an impact on a date or a job interview, how your business card looks can help create perceptions about your business. Embossed business cards are almost the equivalent of a tailored suit and tie or perhaps a classic little black dress – something that a person of culture and sophistication might wear to show they understand the importance of an event without calling unnecessary attention to themselves. If you need a way to add just a little touch of class to your brand, embossed business cards are a great way to do just that.